Today at our last community music group presentation for 2017, in which we invited our audience to bring along their favourite pieces of music, I heard for the very first time the piano music of Leoš Janáček and his "In the Mists"
Being totally unfamiliar with this repertoire I'm sure my confreres here on CMG can further enlighten me. I heard another unfamiliar work, "Cantus in Memoriam Benjamin Britten" by Arvo Pärt. And also this work by Benjamin Britten, which was based upon the work of William Blake. The gentleman who presented this work to us is actually 96 years old, a past teacher and music broadcaster and a person who can speak entirely without notes on his areas of musical interest (vast!) - complete with history - for up to 20 minutes at a time!!! Today he recited poetry by Blake from memory! It was our Charles Mackerras who rescued the composer from oblivion! The conductor made an intensive study of Janacek's operas and presented them to the world, starting in the 1970s. One of my first gigs in television production was involvement in filming a behind-the-scenes look of "Jenufa" at the Sydney Opera House from rehearsal to production - directed by John Copley of Covent Garden - in the early 70s. Copley didn't get along with my boss, the director, and there were - well, let's say - some screaming matches!! The above image is of the CD issue of a performance led by Eve Queler in Carnegie Hall, recorded live. It's an outstanding performance which received a 25 minute standing ovation (I was there): I've never heard anything quite like it. If you love this opera, the disc is long out of print, but there is a used copy on American amazon going for $4.98 right now, so you should grab it. The performance is from the late 1980's but it had to wait until 1994 to be issued. The cast includes Gabriela Benackova, the foremost exponent of her role at the time. As for "In the Mists," it's a charming, minor piece in my book. Janacek's great works happened late in life: Taras Bulba, the Sinfonietta, and the Glagolitic Mass. I'm not a fan of his String Quartets, but they appeal to some. Thank you for that recommendation! I think that performance is available on U-Tube. The General Manager of Australian Opera at the time, John Winther, saw his wife Lone Koppel Winther cast in the starring role of Jenufa at the SOH with the late Elizabeth Connell as Kostelnička Buryjovka. That was a long time ago!! Klaus Tennstedt spoke lovingly about Janacek's quartet "Intimate Letters" in a BBC interview in 1991 so I checked it out and it was compelling. He complained that he found the playing of it much too hard for the quartet he had formed before leaving East Germany!! I didn't know anything at all about Janacek's piano music, nor that he had even written any. I'm sure others can tell me about any further works of his in this form and their experience/appraisal of them. Last edited by Belle on Thu Nov 16, 2017 11:02 pm, edited 1 time in total. Rudolf Firkusny recorded Janacek's piano music, all of it, more than once. You couldn't do better than to pick up one of his recordings. That said, piano music is pretty much the least of Janacek's work. maestrob has recommended his most popular opera, "Jenufa," and that's a good starting point; it's the first Janacek opera I saw, and encouraged me to go on and see or at least hear all of them. The one I love best is "The Cunning Little Vixen," which is indeed about a lady fox (not a foxy lady). You really need to understand the words and I don't see any YouTube clips with subtitles, but to give you a sample of its musical style, here's music from the first scene in the suite for orchestra. The best production I saw, of maybe a half dozen, was by New York City Opera back in the '60s, sung in English. It was on TV but has unfortunately not been published as a video recording. Perhaps best, then, to get an audio recording with a libretto, such as the Decca version with Lucia Popp in the title role and Charles Mackerras conducting the Vienna Philharmonic. Thanks so much for this, John. I'll turn my attention to your links shortly and put them through Bluetooth. I too really love the Cunning Little Vixen. Its music is so evocative from the opening suite, to the fox-cub's cries, to the philosophical men. 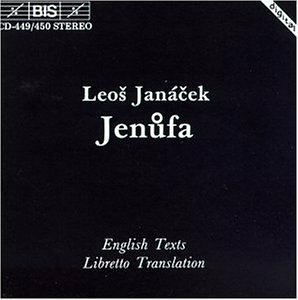 Like most people, I imagine, the first Janacek I was exposed to was Sinfonietta, which is very exciting in the concert hall. I loved "The Cunning Little Vixen" and I especially love the quartet "Intimate Letters". I've heard this performed by at least one pianist at our Philadelphia recital series. It would have been nice if the YouTube segment identified the pianist. Here's the aforementioned "Cantus in Memoriam Benjamin Britten", with score, which I've got running through Bluetooth at the moment: I feel Arvo Pärt is an acquired taste but possibly a major composer. What do you think? We've all congregated around each other like iron filings to a magnet, much as we do here on CMG! One of the most surprising developments in classical music during the 1990s was the emergence of east European minimalism as a broadly popular musical style. I mean popular not just among classical music enthusiasts but a broad public. Henryk Gorecki's Symphony No. 3, "Symphony of Sorrowful Songs," in the recording by David Zinman and Dawn Upshaw, sold over a million CDs, and Wikipedia now lists 12 recordings (including one by the Adelaide Symphony Orchestra). As for Pärt, according to a source called Bachtrack he was far and away the most performed living classical composer in the world from 2010 to 2015 and possibly still is. Besides the Cantus, his best known work is "Fratres" from about the same time, in many versions for different instrumental combinations. Besides conventional performances and recordings, it's been used in the soundtracks of a dozen movies. Thank you John for those comments. What is your personal view of this composer? I do know of the "Symphony (No.3) of Sorrowful Songs" but haven't really paid that much attention to it. I wouldn't say I have a personal view of either composer. Their music is attractive enough, above average for our times, but I neither seek it out nor avoid it. (Some composers I do avoid, such as Philip Glass.) Why the Gorecki symphony became so extraordinarily popular among people who otherwise aren't so much into classical music, I never understood. But I'm in favor of that, of course. I tend to prefer music that doesn't give me everything it's got on first hearing, from Bach to Saariaho. I tend to prefer music that doesn't give me everything it's got on first hearing, from Bach to Saariaho. So that's why you went to see Schoenberg's "Moses und Aron" at the Met? I agree with your comment about preferring music that doesn't 'give me everything on first hearing'. That's an excellent way of putting it. The fact that you don't hold an opinion on Arvo Pärt's music probably isn't a good sign. The "Cantus in Memoriam Benjamin Britten" is one I did particularly notice and it reminded me of the minimalist style of Purcell's "Ode for the Funeral of Queen Mary". Otherwise none of Pärt's other works have really engaged my interest or attention after an initial hearing. There are people in our music group who love his works, so maybe I'm missing something. Not good for Part, or not good for me? If I don't feel his music to be compelling, so that I want to hear more of it or even all of it, that's as much about my taste as about anything. A composer who did have that effect on me is Alfred Schnittke - I bought dozens of CDs of his music, almost everything there was. Certain qualities of his music in a certain period of his career and my life caused the compulsion. I don't suppose any here feel that way about Schnittke's music, however much they may appreciate it; and no doubt some music that excites them leaves me, if not cold, then cool. Of course. Last edited by John F on Tue Nov 21, 2017 7:14 am, edited 1 time in total. Not good for Part, or not good for me? If I don't feel his music to be compelling, so that I want to hear more of it or even more of it, that's as much about my taste as about anything. I meant it wasn't a good sign for your further engagement with the composer and, of course, it is ALL about our subjective taste - or mostly all. And Schnittke is regularly touted as the great modern composer by Simon Rattle and the folks at the BPO. That's certainly the message I've taken and I've promised myself to find out more about Schnittke. He wrote that interesting little "Clowns und Kinder" which appealed very much. And then there's the issue of something interesting us in an earlier part of our lives and which we've since left to one side. And the piano concerto is one such example for me; most of them bore me these days, except Beethoven's #5 and Brahms #2. Last Thursday one of our participants played Borodin's "Polovtsian Dances" for our 'desert island discs' program. I later said to my friend and fellow convener over lunch, "that's charming and pleasant music but when I was listening to it I thought Borodin could have done more imaginative things at the end of certain phrases or ideas that a more ingenious composer would have done as a matter of course; the narrative direction isn't all that interesting". He looked at me surprised, then he smiled and said, "that's very interesting"!! Ergo; our tastes become more demanding, not less so, as we age. I find the whole issue of musical taste and what constitutes 'great music' hugely interesting. In high school, I was very much taken with the music of Saint-Saëns, and played a recording of the 3rd symphony over and over again. Now I can only listen to its first movement; the endless morphing of its main theme in the other movements, and especially the bombastic finale, seem to me forced. I still like the 2nd and especially the 5th piano concertos and, naturally, the Carnival of the Animals, but that's about it. I also liked Glazunov's ballet music The Seasons, especially the last section (Autumn), but hadn't listened to it in years, and when I did recently, either the music or I felt tired. I actually traveled to Vienna for the premiere of his opera Gesualdo, about the Italian composer, conducted by Rostropovich, but apart from some neo-Gesualdo madrigal music including the opera's beginning and end, it disappointed me. I note that it hasn't been recorded, though Austrian Radio's broadcast of the premiere has been uploaded to YouTube (three times!). Gesualdo was an unusual composer; he was a murderer and violent man and his music seemed ahead of its time in its treatment of dissonances. When I was a student we looked at some of that composer's music. It must have been dangerous in Italy because the composer Stradella was murdered! I've never been a fan of Saint-Saëns and one of my friends presented a program of his music this year for our music appreciation group; nothing in that session changed my mind about the composer. In fact, he was extremely rude and condescending to fellow Frenchman Franck who dedicated his Symphony in D to Saint-Saëns only to have that composer completely ignored and the dedication unacknowledged. I think Franck's music is far better than that of his revered contemporary. Franck did write an opera, "Hulda," and I heard its ballet music (yes, Franck wrote for the ballet) long ago at Indiana's Romantic Revival festival. None of it was performed during Franck's lifetime and according to Wikipedia its only complete performances have been by English university music groups. Not a success, then. I'm surprised that as a pianist you don't admire Saint-Saens's piano concerti: his fifth is one of my favorite compositions. As for operas, his Samson & Dalila contains some brilliant music IMHO, including the arias for Dalila and the duet she sings with the High Priest where they plot the death of Samson. Warmly recommend the recording with Rita Gorr & Jon Vickers. And then, of course, there's the Organ Symphony (III). I owned an LP of "Samson et Dalila" but it was damaged in the 80s when the children were small. This was the main reason I moved over to CDs when these became available in Australia in March 1983; the month of my daughter's birth. The kids could then occasionally bump into the CD player with their little plastic 'trikes' and my music wouldn't be ruined!! (And my husband had accidentally left all my LPs in the back of the car about 4 years before when we moved and most of them warped in the heat!! Not one of his finest moments. I was able to extract many 'concessions' after that episode, let me tell you - including, but not limited to, a fortnight at the Adelaide Festival of the Arts in 1988 on my own and in a very good hotel!! It is a quite lovely opera but I haven't heard it for years. For some reason the piano concerti of S-S have never moved me at all; they seemed too sugary. On the basis of what you've said I'll listen again shortly to the No. 5 through by Bluetooth device; There's this version played by Thibaudet, conducted by the delectable Nelsons. And what an orchestra!! I recommend this recording by Sviatoslav Richter and Kiril Kondrashin with the Leningrad Philharmonic instead. Not only do Thibaudet and his conductor take the first movement at a pace that rather trivializes the music, but he comes in a bar early. Thanks John: I'm on the last movement of that performance now and I'll listen to the Richter after that. Another glorious day shaping up here - 6.17am - and with musical accompaniment!! Life's good. Having listened now to both versions of the S-S Piano Concerto No. 5 I'd say I prefer the Richter but my opinion hasn't changed from my original view of this and other works by S-S. The Concerto #5 actually reminded me of the Mendelssohn #1 - charming but not among the 'faves'. Still, a pleasant morning diversion. Well, after all, music doesn't have to be profound to be worth hearing, or even great. If that were so, the standard repertoire would be reduced by at least half. In another thread you mention listening to Brahms's 3rd piano sonata; for me, that music may be profound by some measure but I don't want to hear it and haven't for years. (It seems not to be giving you much pleasure either.) On the other hand, many Haydn symphonies could be described as "pleasant diversions," that's all they were originally meant to be, but I listen to them with great pleasure again and again. Nothing wrong with listening for pleasure, is there? On the subject of unfamiliar music, and Haydn, do you know his 80th symphony? The key signature is D minor and that's where the symphony starts, but... No, I'll leave it to Haydn to spring his surprises on you. I happened to be in Adelaide for that festival and it was one of the great ones. Including A Fiery Angel and Andras Schiff doing the WT Clavier over two nights. Magnificent! I was at both of those events!! Definitely remember Schiff playing in the town hall. It was an excellent festival. Also saw the Labeque Sisters (one of them was ill with a heavy cold) and the Chicago Symphony Orch/Solti, as well as Twyla Tharp Dance Theatre, Drottningholm Baroque Orchestra, Wynton Marsalis and many many other things. All told 15 or so performances. Would like to go to the next one, which I just saw advertised on SBS, but my youngest son is being married in the middle of March. It would be hard to beat the 1988 program, IMO. Quite a few of the artists were staying at my hotel and I met Gerald English (remember him?) and a number of other singers.